Aweeee...look who was waiting for me at the door when I got home? 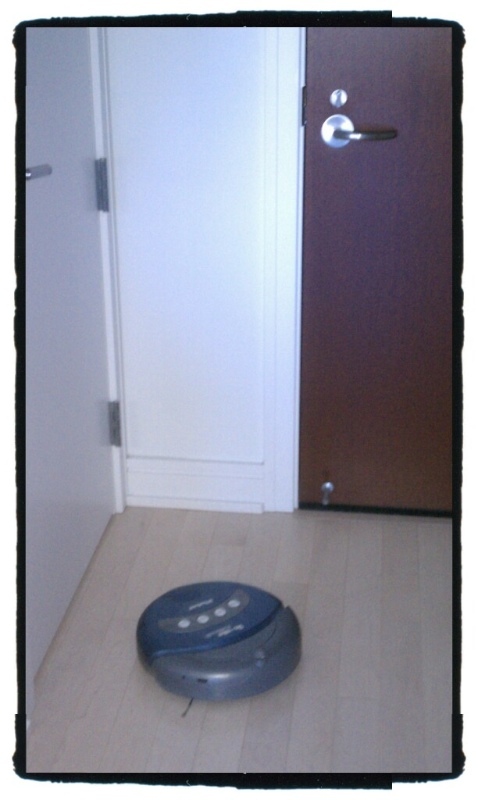 The scary thing is that when I saw him there, I greeted him with a cheery "Hi Roomba!" He looks friendly! I'm sure he was pleased to see you. HAHAHA. These robots always tickle me to death, Mad!